If you’re looking to turn your serve into a weapon, it’s critical you know the different types of serve spins and how to execute them. 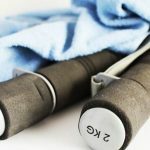 I wrote this post to give you exactly that information – as well as explain when to use these spins and their benefits and drawbacks. 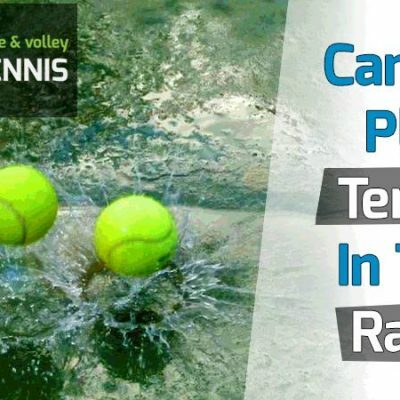 With this knowledge, your serve can become a true asset to your tennis game – a shot that is difficult to return and hard to read. First, I want to dispel all the confusion between the spins, so you are completely clear on them. There are five possible types of spins on a tennis serve. You can think of spin as the direction the ball rotates. Flat Serve – No spin or very little spin. Slice Serve – The ball has side-spin – either to the left or right – depending on if a righty or lefty hits the serve. Kick Serve – The ball rotates diagonally, a combination of side-spin and topspin. 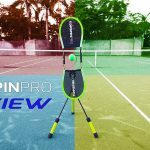 Topspin Serve – The ball rotates forward. Underspin – The ball rotates backwards. This type of spin is generally not effective on the serve and used mainly by beginners. Why Learn The Different Spins? 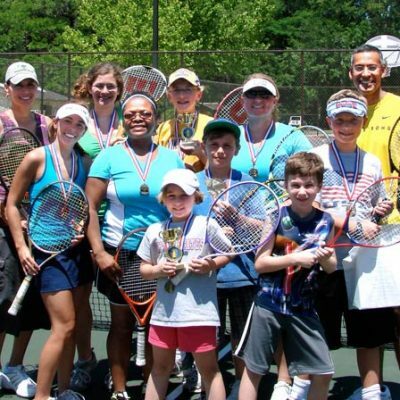 As you advance in tennis, the play becomes more difficult. Serves with the same spin on every point can be easily anticipated and returned. Hence the need for spin variation on your serves. The different spins cause the ball to bounce off the ground in different ways. Some spins cause the ball to bounce low, with others to the side or high off the ground. If your opponent cannot read your spin, they’ll be left to guess, which is preferable. 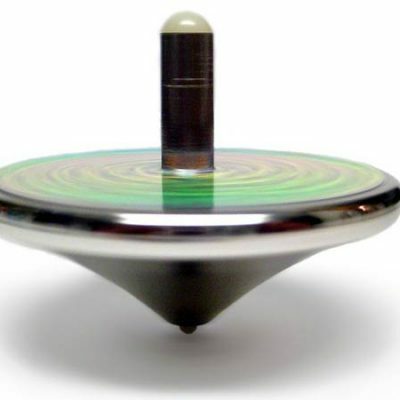 Each type of spin has benefits and drawbacks. For example, kick serves are safer to hit than flat serves when trying to get into the serving box. That’s why most advanced players favor it on the second serve. However, flat serves are better if you are going for high pace and a nice ace. Wow, I like that rhyme! In tennis, you only get two chances to get the serve into the box. The first serve can be more aggressive. The second serve should be more conservative, as the point will be lost if the serve misses the box. It’s therefore important to know which spins to use on first and second serves. 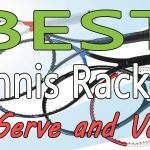 It’s undoubtedly true that using a variety of spins on both the first and second serve will make you a better and more effective server. You’ll add a new dimension to your game that will cause the returner to be off-balance while keeping you off the defensive. Some court surfaces work better with certain spins. For example, hard courts and grass courts work well with flat serves, while red clay works better with kick serves. Knowing when to use the spins, and on which side of the court (deuce or ad), is also important. If you have a beginner serve (commonly referred to as a waiter’s serve), I must warn you that it will be difficult to impart spin variation on the ball. This is because the eastern forehand grip, most commonly used in beginner serves, does not allow for kick and topspin serves. For this reason, I urge you to learn the advanced serve. I have an article on this blog that shows you how to perform the advanced serve – and the differences between the two serves: beginner and advanced. Once you know the advanced serve, execution of the four major spins (flat, slice, kick, and topspin) will be possible. If you have an advanced serve and use the continental or eastern backhand grip, then you’re in business. But whether you’re a beginner or advanced player, the following information could be invaluable to your tennis serve. The flat serve is called “flat” because it has almost no spin. The less spin the ball has, the faster it moves through the air. For this reason, the flat serve is the most powerful serve in tennis. 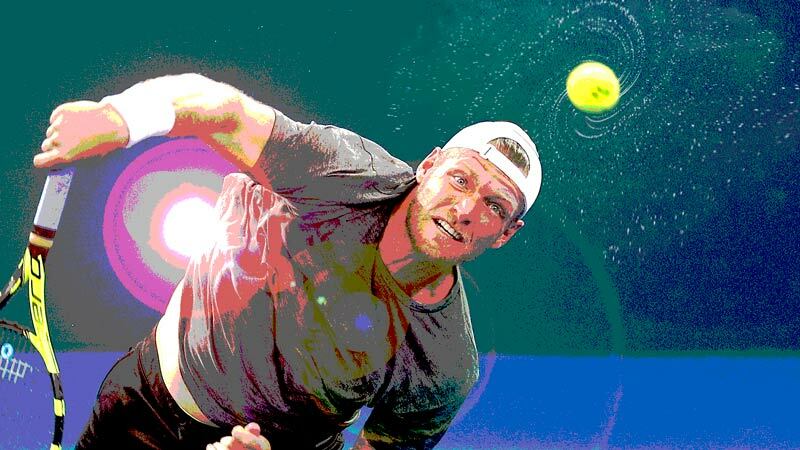 Only flat serves can reach speeds in excess of 100-110 mph – unless you’re John Isner or Nick Kyrios. Balls hit without spin take a more direct path to their target than balls hit with spin. For this reason, the fastest serves in tennis are all hit flat. That’s not to say all flat serves have zero spin. The ball could spin in any direction on a flat serve, but not with much rotation. When the flat serve bounces off the court, it tends to move in the same direction and stay low. Most aces in tennis are the result of flat serves. For that reason, it is commonly used for first serves but not so much on second serves. Even the best professional players in the world can struggle to get more than 50-60% of their first serves in. Learnability: The flat serve is the easiest serve to learn and the one all beginners hit first. It doesn’t require any special technique with the hand, wrist or arm to hit. Velocity: Flat serves are ideal for hitting at high speeds. A flat serve moving at fast speed can be difficult to return, even if hit near the returner. Low Bounce: Because flat serves are usually struck hard with little spin, the ball stays low off the bounce. This has a skidding effect, which can make it difficult to return, especially on hard court and grass surfaces. Low Margin of Error: As the ball is typically struck hard with little spin, it has a much lower chance of making it into the service box than a serve hit with topspin. Energy: Flat serves with high pace require more effort than the other four serve types to hit. It can take a lot of energy to hit hard, flat serves consistently over a whole match. Serve and Volley: Flat serves are not ideal if you serve and volley. Due to their velocity, returns come back quicker, not allowing the server to get close enough to the net for a good first volley. Serves with spin are preferable for serve and volley play. Grip: Continental or Eastern – This depends on if you are using an advanced or beginner serve. The advanced serve uses the continental grip. The beginner serve uses an eastern forehand grip. Beginner serves with the eastern forehand grip can still be hit with good velocity but typically not more than 80-90 mph. Toss Placement – Toss the ball 12-15 inches in front of you and 6 inches to the right of your tossing arm shoulder when the ball is at its zenith. This is for right-handed players. Lefties will toss 6 inches to their left. Racket Contact Point – Since no spin is required for this serve, we can hit it directly from behind with the racket face completely squared to the ball at moment of contact. Remember, it’s fine if there is a bit of spin on the ball. The slice serve rotates sideways. A righty hits slice serves that rotate to the right. When these serves strike the ground, the ball will sharply move to the left (from the server’s perspective). For a lefty, the opposite scenario will happen – sidespin to the left will yield bounces to the right. The slice serve is produced by brushing on the ball. It can be a very effective serve and should be part of your serve arsenal. It’s much easier to learn than the kick serve or topspin serve. I believe everyone can learn the slice serve, and it doesn’t take long to become proficient with it. Slice serves are effective on any court surface and tend to bounce low off the court. They have a higher chance of going into the box than flat serves due to their spin. However, they often do not travel through the air as fast due to the heavy spin on them. Learnability: The slice serve is the second easiest serve to learn behind the flat serve. I believe kids and adults can learn it quickly. Velocity: The slice serve has less velocity than a flat serve but more than kick or topspin. It is good to use as a medium speed serve to throw off the timing of your opponent. Bounce: The main benefit of the slice serve is that it moves to the side after hitting the ground. If applied right, it can bounce away from the returner or directly into the body, which is difficult to return. The bounce is usually low, which also creates difficulty in returning. Low Margin of Error: Because the slice serve does not have topspin, it has a lower margin of error than a topspin or kick serve. Most players tend to overhit the slice, and thus it misses the box. It should, therefore, be used on first serves. Telegraphing: Most players toss the ball too wide on the slice serve. This can easily telegraph you are using it, which your opponent can key in on. Grip: Continental or Eastern – This is contingent on if you are using an advanced or beginner serve. The advanced serve will use the continental grip. The beginner serve can get away with hitting a slice serve with an eastern forehand grip. Toss Placement – Toss the ball 12-15 inches in front of you and 6-8 inches to the right of your tossing arm shoulder when the ball is at its zenith. This is for right-handed players. Lefties will toss 6-8 inches to their left. Note, that if you toss more than 8 inches away from your hitting shoulder, you will be telegraphing the serve. Tossing in the same location as the flat serve is ideal. Racket Contact Point – The racket needs to be at a slight angle when contacting the ball – perhaps 10-15 degrees. This means a 10-15 degree difference from a flat serve, where the racket is dead center onto the ball. Contact with the ball is made on the outside edge of it to produce the sidespin – at three o’clock for righties and nine o’clock for lefties. A slight adjustment of your hand at contact (with the palm facing slightly more to the left for righties and vice versa for lefties) is required for hitting the slice serve. Try to resist tossing the ball wide to produce the spin. Instead use an angle change on the racket. The slice serve can be used effectively to serve and volley. It’s best application is to hit into the body of the returner. The slower velocity of the serve (in comparison to flat) will allow you to get closer to the net as well. The kick serve and topspin serve are often confused for each other. A lot of my students ask me the difference As I stated earlier, the kick serve has diagonal spin (forward and side) while the topspin serve has forward spin only. In this segment, we’re talking exclusively about the kick serve. 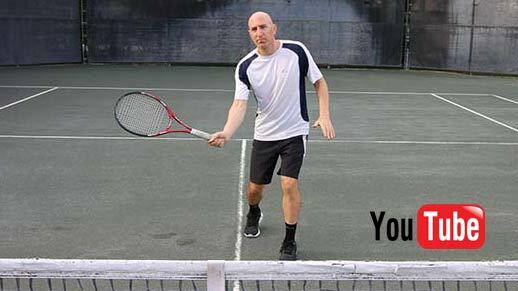 The kick serve is absolutely essential to master if you want to move up the ranks in tennis. Once you get past the 5.0 level, every player can hit a kick serve – with varying levels of kick. As a side joke, I once asked my friend if a kick serve I hit was kicking. He said, “Man, that mother wasn’t even walking!”. I’ll never forget his remark, as it made me laugh. That was early in my playing days, before I knew all I do now. The kick serve is used by all professional tennis players and is the serve of choice for the second serve. It is also used on first serves for various reasons. 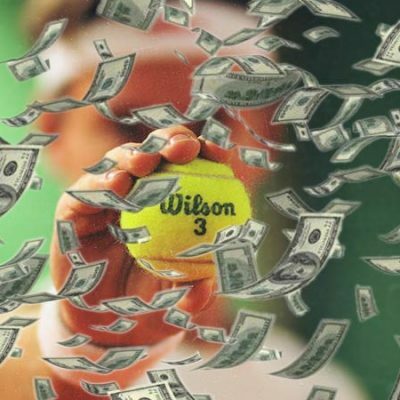 Many clay court specialists prefer to use it on their first serve. This is because it has a high chance of going into the service box and bounces high on clay. Kick serves also have sidespin, making them difficult to read. Most good kick serves move up and away (or up and towards) the returner. This forces the returner to hit the ball over their shoulder, raising the difficulty level of the return. High Margin Of Error: Due to the topspin on the kick serve, it often arcs down quickly, making it a high percentage serve. For this reason, it’s a great serve to use to ensure it will land in the service box. High Bounce: The kick serve bounces high, which has two benefits. One, it prevents the returner from attacking the serve inside the court. Second, it forces the returner to hit a high return, which is more difficult to handle than lower returns. Control: As the kick serve is hit with less velocity than a flat or slice serve, it’s placement can thus be controlled better – at least in theory. This means you can move it around the service box easier than you would a flat serve. Serve and Volley: The kick serve is an optimal choice for the serve and volley. Many advanced players like to use it because it allows the necessary time to get into net while forcing the returner to hit a high-bouncing shot. Learnability: The kick serve can be very difficult to learn, especially for older players who are used to hitting only flat and slice serves. The kick serve is simply not possible to hit for players with a beginner serve and an eastern forehand grip. Slower Pace: Kick serves are slower than flat or slice serves. For this reason, they are vulnerable to attack if not hit with enough spin or placement. Even if good spin and placement are used, if the ball lacks pace, it can easily be attacked. Telegraphing: To hit the kick serve, the ball must be tossed more over the head than a flat or slice serve. For this reason, it is often a telegraphed serve. Most players know a kick serve will be hit on the second serve, but if used on the first serve, most players can see it coming a mile away. Grip: Continental or Eastern Backhand – The continental grip can be used on all spins, with the possible exception of underspin, which is really not used for advanced serves. However, I find that the eastern backhand grip is easier to generate a kick serve. The index knuckle is on bevel one, instead of bevel two (continental grip). Toss Placement – Toss the ball 12-15 inches in front of you. The toss should be over your right ear (for right-handed players) at its zenith. This will allow you to hit up on the ball (imparting topspin) but also allow for some sidespin. Racket Contact Point – Unlike the flat serve and the slice serve, you’ll be striking the ball from the bottom edge of the ball, and slightly to its left side. 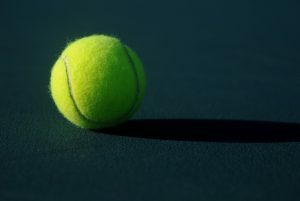 If you think of the ball as a clock, the racket should contact the ball at approximately the seven o’clock position. This creates topspin and some sidespin. It helps generate spin if the toss drops a little further before hitting the ball. For this reason, a slightly higher toss on the kick serve is advised. Hit up on the ball. This means the racket head will be moving upwards when striking the ball, as opposed to forward or to the side. High racket head speed is essential to a good kick serve. Wrist snap in the way of ulnar deviation and pronation are necessary to generate that kind of racket head speed. Most professional players swing just as fast on the second serve as the first serve. A more extreme bend of the knees with a more vertical jump (as opposed to into the court) will result in more spin. The topspin serve is almost all forward rotation. While there may be some degree of side spin, it is 90-100% forward spin. This will cause the ball to bounce slightly higher than the kick serve. The velocity of the topspin and kick serve are about the same, since the RPM on the ball is similar as well. The topspin serve is a little more difficult to execute than the kick serve, as the ball must be tossed slightly more over the head. This requires flexibility, athletic ability and good timing to hit. While the kick serve is good enough to learn as a reliable second serve for most club players, more advanced players may want to add the topspin serve to their arsenal. High Bounce: The topspin serve provides the highest bouncing ball of all the serves. For this reason it is very effective on clay and har-true. High Margin of Error: Due to the heavy topspin of this serve, it is the highest percentage serve of all five spins. For this reason, it can be reliably used on all second serves. 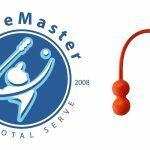 Serve and Volley: Like the kick serve, the topspin serve is ideal for serve and volley due to its high bounce. Even more than the kick serve, the topspin serve can push the returner further back beyond the baseline. A topspin serve hit with heavy rotation is extremely difficult to attack. Learnability: Like the kick serve, the topspin serve is difficult to learn. It is even more difficult to hit than the kick serve because of the extreme placement of the toss. Again, beginner serves with eastern forehand grips have no chance of hitting kick or topspin serves. Pace: If not enough spin or pace is used on this serve, it can fall short and be easily attacked. Direction: Since the topspin serve is primarily bouncing forward, unlike the kick serve which bounces forward and to the side, it’s a bit easier to read and return. This should not be a detriment that causes you not to use it though. It is still very effective. Grip: Continental or Eastern Backhand – The information I stated for the kick serve in terms of grip applies the same for the topspin serve. The continental grip will work fine. But I find the eastern backhand grip works better for me on both the kick and topspin serves. Most professional players use the continental grip, with some using the eastern backhand grip. I feel the latter makes it easier to put spin on the ball. The drawback is less power. Toss Placement – Toss the ball 12-15 inches in front of you. At the zenith of the toss, the ball should be directly over your head. The toss can be placed over your left ear. It depends on your flexibility and knee bend. This is for right-handed players. Lefties will do the opposite. Racket Contact Point – The contact point is ideally at the 6 o’clock position on the tennis ball. This will give the ball the maximum amount of topspin. In other words, you want to brush up on the ball, striking it from the bottom side first. The underspin (also known as backspin) serve is not used in professional tennis. This is because it generally requires an eastern forehand grip to hit. The pace is also too slow to be effective. 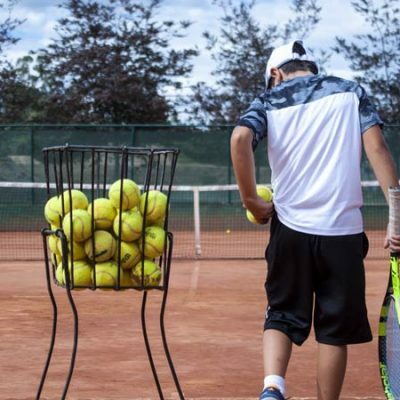 However, for players at the club level with a beginner, or waiter’s tray, serve and using the eastern forehand grip, it can be quite effective. Serves hit with underspin typically stay low and skid through the court, similar to slices on groundstrokes. The underspin serve doesn’t require a long learning curve and it’s just another spin variation that can be added to your arsenal. If you use an advanced serve, I would skip the underspin serve. It’s not necessary to know and the four other spins are all you need to be a great server. However, if you’re a club player with a beginner serve, I recommend learning this serve, if nothing more than to change the variety. I know a decent club player that only ever hits with backspin and his serves can be difficult to return. Learnability: Fairly easy to learn but requires an eastern forehand grip. Rarely Seen: Few players ever hit with backspin, or at least backspin with high RPM. If you can manage to serve with tight backspin, you can hit with a spin your opponenent is unfamiliar returning. Low Bounce: Serves hit with backspin typically skid low through the court, making them difficult to return. Low Margin of Error: Without topspin, this serve has a much lower margin of error than a kick or topspin serve. For that reason, it only good for first serves. 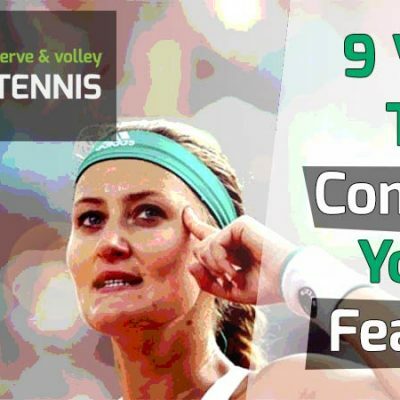 Vulnerability: If not hit with enough pace and spin, this serve can be easily attacked. The returner can also return it inside the baseline, putting you on the defensive right away. Serve and Volley: The underspin serve is not difficult to return for a good player. For that reason, it is a poor choice to serve and volley on. Placement: The underspin serve is best hit over the low part of the net. It is difficult to hit out wide, as it has no topspin. It is therefore difficult to place and easy for your opponents to read. Grip: Eastern Forehand – As I stated a few times already, the underspin serve should only be used with beginner serve motions. The eastern forehand grip is the only one that can hit underspin. Since advanced players use continental grips with pronation, it is not possible to hit with underspin. Racket Contact Point – The racket will be angled up (towards the sky) slightly more than on a flat serve. You’ll want the contact point to be at about the six o’clock position on the ball. The hitting hand should be aligned directly under it. Remember, we are producing backspin, so the racket has to brush from above to below, opposite of a topspin serve. In summary, there are four major spins to choose from for advanced players: flat, slice, kick and topspin. I recommend beginners try to learn the advanced serve so topspin and kick serves are an option. Otherwise, if you have a beginner’s serve you’re limited to flat and slice serves, with the odd exception of the backspin serve. If you have an advanced serve and wish to add the kick serve to your game, I have posts on this blog that will help. If it seems difficult at first to learn, keep at it. Practice until you get it, as the kick serve is integral to developing a solid all-around game in tennis. No good player can serve without some type of forward spin on the serve. 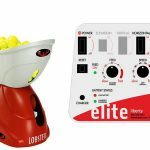 Once you have the flat, slice and kick serves in your arsenal, you can take your game up to the next level. Having the kick serve to fall back on for your second serve, you can be more confident and take more chances on your first serve. This will translate into more winning service games. Hit the kick serve to the body or backhand of your opponent and come into the net. Hit the slice serve so it moves away or into the body of your opponent. Flat serves can be hit anywhere but are most effective to the body and to the backhand. Hit the topspin serve to the backhand of your opponent and come to net. For beginners, hit the underspin serve to your opponents backhand and stay back or try coming to net. My favorite serve out of them all is the slice serve out wide on the deuce side. I can hit a very sharp angle that takes the player completely off the court when I hit my spot. About half the time, it goes as an ace. This is the one serve in my arsenal that is impossible to return for most players if I hit it right. The other serve I really like is a flat serve out wide on the deuce side. About half the time I come in on this serve. Since it’s going to the opponent’s backhand (as most players are righties), I can expect a defensive shot coming back 95% of the time. Experiment with the different spins and placements in the box. In general, either try to serve out wide, into the body or up the middle. Vary your spins, speeds and locations for best results. Always keep your opponent guessing and practice your serve religiously. 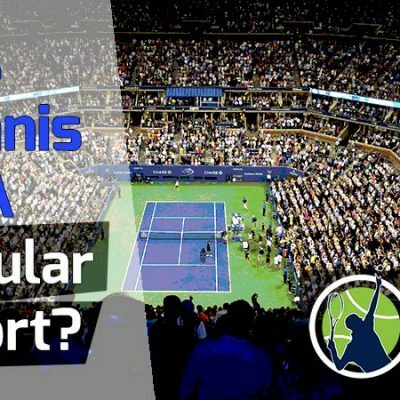 I hope this post was of help and answered your questions on the serve. If you have any comments or questions for, drop them in the comment box below and I’ll be sure to respond. Thank you for reading.